There are tons of video converter apps out there for the Mac, and everyone loves free stuff. For those who don't want to install too many application on their Mac, free online video converter is a perfect solution. If you're looking for free online video converter to convert your videos on Mac computer, look no further! This article will tell you 3 best and free online video converters for the Mac and one desktop video converter to help you achieve the video conversion process. If you persue the fastest video conversion speed and best output video quality, I recommend you this desktop video converter. Actually, there are many free online video converter for Mac on the market. If one would search on the internet for the same, he or she would be flooded with several converters, each promising to outdo the other. So, in order to help a person choose, here is a list of the top 3 free video converters for the Mac. For those who have no fixed source from where they obtain their video files, Video File Converter is the best possible option. Among all the top free online video converters, this particular one boasts of perhaps the vastest range of output along with input formats. 3G2, 3GP, FLV, AVI, MKV, MOV, OCG; the list goes on and on. Convert.Files is one if the best free online video converter for Mac. The reason for this is that, it can not only convert a batch of files as opposed to a single file at a time, but can also support a larger range of both input as well as output format. The interesting detail about this particular video converter is that, it can directly convert video files form YouTube. For those who are serious YouTube addicts and get their daily feed of video from there, this free online converter is an ideal choice. This free online video converter dishes out the rare facility of converting videos to MP3 format. Not only this, the converter also guarantees that the output file that is obtained is of the very best quality and no less. 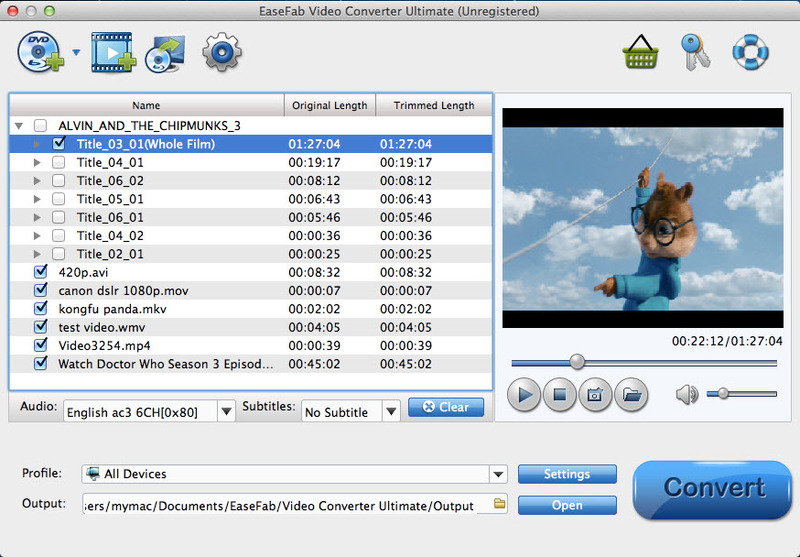 If you are seeking for the best video output quality, fastest video conversion speed, and the most formats supported, EaseFab Video Converter Ultimate for Mac will be your best choice. Also it has other features that will impress you!